The best no-load mutual fund companies are the ones that have a diverse selection of low-cost funds that do not charge commissions, loads, or hidden costs, such as 12b-1 fees. We make no-load fund investing easy with our suggestions on the best companies that sell no-loads. With that said, this list of no-load fund families was not created with scientific method, such as a point system for certain quantitative aspects, but rather a qualitative, knowledge-based perspective that comes from years of experience. For full disclosure, I've used mutual funds from all of the following fund families, either for personal use or for recommendations to clients or both. You can't get any more simple, low-cost and diverse as Vanguard. This investor-owned mutual fund family grew popular among the do-it-yourself (DIY) crowd with their affection and admiration for founder John C. "Jack" Bogle's style of common sense investing. Bogle's investment philosophy aligns with the Efficient Markets Hypothesis (EMH), which essentially says that all known information about investment securities, such as stocks, is already factored into the prices of those securities. Therefore no amount of analysis can give an investor an edge over other investors. Bogle might say, "If you can't beat the market, join it." Taking this philosophy a step farther, Bogle effectively illustrates to his followers, known as "Bogleheads," and to the world investment community that the costs involved with trading securities erodes at returns, especially over long periods of time. Vanguard's oldest fund is the Wellington Fund (VWELX) and its best-known fund is Vanguard 500 Index (VFINX), which is an index fund that mirrors the movements of (and securities found within) the S&P 500 Index. If you are the type of investor that does not want to spend time analyzing mutual funds and you believe that passively-managed index funds and Exchange Traded Funds (ETFs) are the best tools to build a portfolio of mutual funds, Vanguard is the only mutual fund company you need. If you need more information to make a decision about index investing, check out the article, Why Invest in Index Funds. Fidelity Investments is best known as a mutual fund company and provider of retirement services and products, such as 401(k) plans and IRAs, for businesses and individuals. Fidelity, founded in 1946, is one of the largest multinational financial services corporations in the world. Unlike Vanguard, Fidelity is publicly-owned, which can affect the overall philosophy of the organization. For example, shareholders of Fidelity stock want to see growing profits. Therefore a large aspect of Fidelity's objective is to attract more money by attracting more investors. This is why you see and hear much more media advertisement from Fidelity than from Vanguard. There is nothing wrong with growing profits. However, some funds can attract such a large amount of assets that they are no longer able to navigate markets and effectively outperform indexes like they may have done in the past. Think of Fidelity's Magellan Fund (FMAGX). The now legendary fund manager, Peter Lynch, did so well at picking stocks during the 1980's that it became the largest fund in the world (the fund grew from $20 million in assets to $13 billion during Lynch's tenure). Since that time, Magellan has struggled. Fortunately, Fidelity has another popular and strong performer in Fidelity Contrafund (FCNTX), managed by the highly-respected William Danoff. Fidelity deserves praise for having a wider variety of choices than most fund families. They have a broad selection of index funds and ETFs that compete with Vanguard's and they have a large selection of actively-managed funds that represent all major fund categories as well as sector funds. It should be noted that not all of the Fidelity's funds are no-load. They also have advisor shares and loaded funds. Thomas Rowe Price, Jr founded his investment firm in 1937 based upon his growth stock philosophy of investing, which focuses on stocks of companies that are expected to grow at a rate faster in relation to the overall stock market. T. Rowe Price is a favorite among the do-it-yourself crowd for the investment firm's broad selection of quality no-load mutual funds, including their flagship fund, and the one with the highest amount of total assets, T. Rowe Price Growth Stock Fund (PRGFX). T. Rowe Price also has some of the best S&P 500 Index Funds as well as a diverse selection of other no-load funds, including standout T. Rowe Price Health Sciences (PRHSX), one of the best performing sector funds in the mutual fund universe. You can easily open a brokerage account at Vanguard or Fidelity, where you can choose from thousands of mutual funds, even those from competing mutual fund companies. However, ​Charles Schwab may be the best overall discount broker that offers the complete package of mutual funds, stocks, bonds, and services to investment traders all in one place. As the popular ad campaign suggests, "Need help? Ask Chuck!" Founded in 1971 under the name First Commander Corporation, Schwab began offering brokerage services to individuals at a discount in 1975. Before that time, investing in the stock market was considered primarily as a wealthy person's privilege. 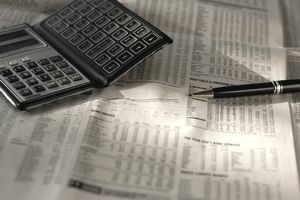 Mutual fund research can be made easier with a good online research tool. Whether you are a beginner or a pro and if you are looking to buy the best no-load mutual funds, review an existing fund, compare and screen different funds or you are just trying to learn something new, mutual fund research sites, such as Morningstar, can be helpful and easy to use. Search "screens" on their online tools allow for an investor to narrow their search for no-load and load-waived funds. Most of the online mutual fund research sites require you to register for "free" or "premium" access. Which Brokerage Firms Have the Best Mutual Funds?